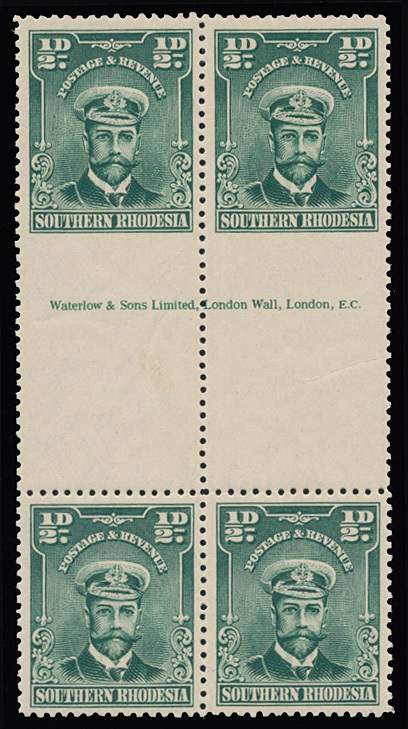 1924 KGV Admiral ½d, vertical block of four across the horizontal interpanneau margin, full imprint, upper pair imperforate to margin at base. Very fine unmounted. SG 1 vars.